Everything from skiing to snowshoeing! Enjoy our Top 5 activities for Italy in winter! 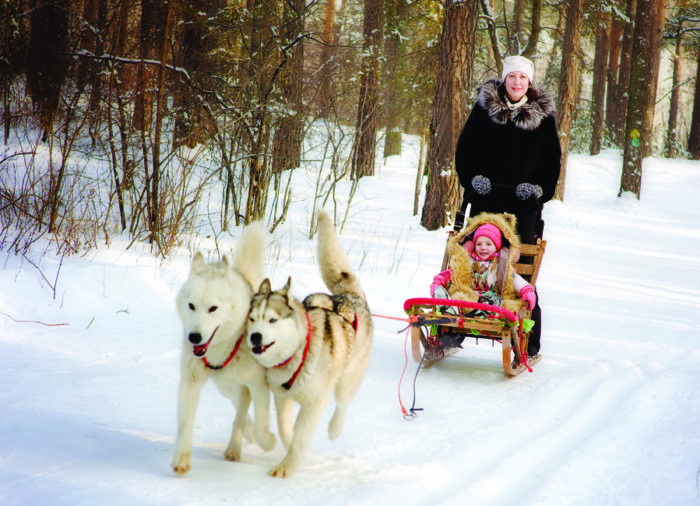 Go dog sledding, stay in an igloo, or take the kids on a sleigh ride they’ll never forget! 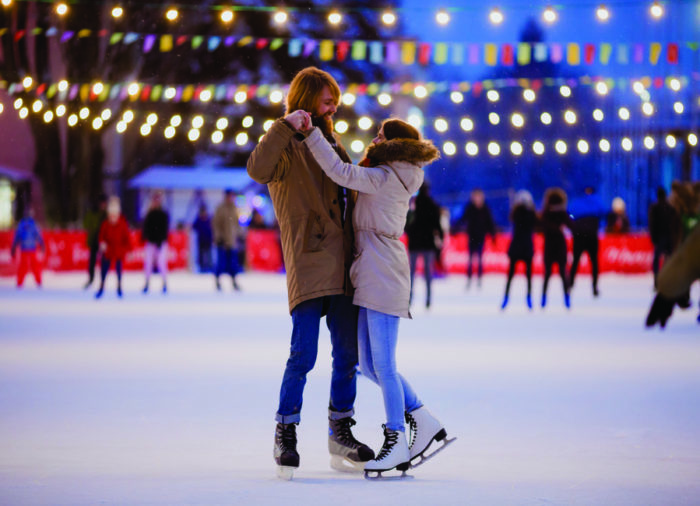 Nothing is as romantic as falling into each other’s arms on the ice! Have a go on a real skating rink! In the heart of Rome you could experience learning to ice skate surrounded by the majestic panorama of the Eternal City. This annual skating rink has a surface of 1,000sqm and can also be rented for celebrations or functions! Italy in winter on ice is a fun and unique way to make some memories, and is a great idea for kids! Where? Auditorium Parco Della Musica – Rome, Lazio. How much? The entry ticket is 10€ and includes the rental of a pair of skates. Reduction available. How many people get to say they’ve experienced this ancient transportation method?! Immerse yourself in the sheer nature of the dazzling snowy mountains and the deep silence of nature on a dogsled. The team of experts will give you the basics to conduct your dogs on an unforgettable outing. The Husky Village offers different trails according to levels of ability. Much care is given with learning about the dogs’ well being and history of this ancient transport method. Where? Arnoga – 23038 Valdidentro (SO), Lombardy. How much? Adult voucher: €80 for a 5km outing. The peaks of Mt. Etna are usually covered with abundant snow all winter. Snowshoes or Ciaspole, allow you to walk on it without sinking. A fun way to visit the volcano and enjoy the breathtaking views from the top! There are several trails with different levels of difficulty, but all of them are guided by experts. Where? Volcanic Mount Etna, Sicily. How much? From €40 to €70. OUR TOP TIP: The experience of a horse-drawn sleigh is quite popular in the Alps, but the most exciting is the moon-light option! 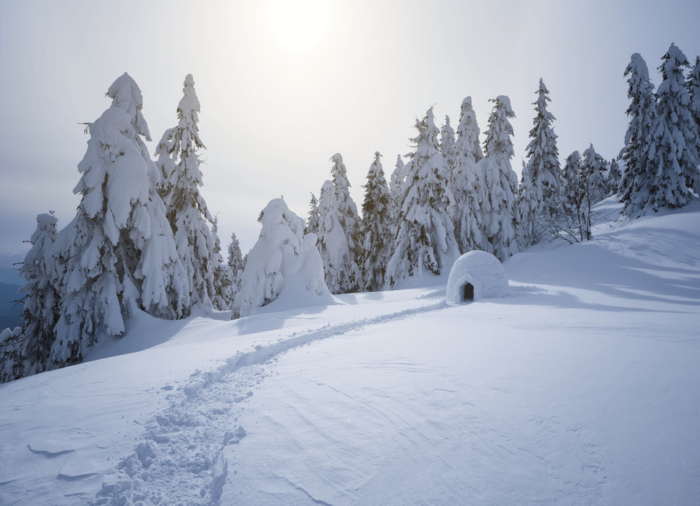 If you feel adventurous and cold isn’t a problem for you, you can experience a night in an igloo in Puster Valley – Camp Tures. The package – available in the ski area of Speikboden at 2,000 m.a.s.l., entitles you to a return ticket for the ski lift, a traditional dinner in the igloo restaurant, the use of the sauna, an igloo drink at the fireplace and, of course, your private igloo for the night with a warm sleeping bag! The ultimate experience for Italy in winter! How much? from €123 to €338/pp. Nobody else will have the same holiday snaps! 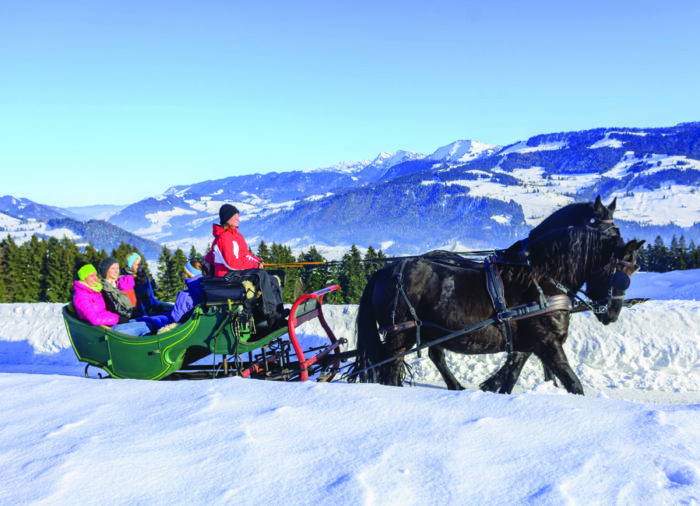 Enjoy a romantic 25/30-minute trip in the snow on a horse-drawn sleigh! You can start from the cableway at Alpe di Siusi in Santa Cristina. The tour is also available in summer and will include a delicious lunch in a mountain chalet restaurant. How much? €45 for kids and €75 for adults.